JetBlue Airways is a low-cost airline which mainly serves destinations in the U.S. As any other airline, JetBlue has its own frequent flyer program called TrueBlue. The TrueBlue rewards program allows earning and redeeming points with JetBlue airlines and its partners. Those consumers, who use credit cards, may like the JetBlue Card from Barclaycard or any of the credit cards below. These cards allow earning rewards on all eligible purchases which significantly boosts your earning power. JetBlue airlines loyal fliers may want to take advantage of its frequent flyer rewards program. The JetBlue’s TruBlue rewards program offers no blackout dates on JetBlue flights, availability of reward seats, and no expirations to the points you’ve earned. Earning TrueBlue points is simple. Every flight with JetBlue or its partners will bring you from three to six points per dollar. When you buy Even More® Space seats or travel with pets, you will earn additional bonus points. There also is a list of non-airline partners you can earn the points with. If you are lack of some points you can buy them. Accumulated points can be redeemed towards free JetBlue flights. The amount of points you will need for a certain flight varies based on the current fares. So if the JetBlue flight fare is lower, you will need less points to redeem, and vice versa. TruBlue members can reach Mosaic status which will give them access to additional benefits and bonus points. If Mosaic status is not enough for you, the JetBlue credit card will help you to earn more rewards and get access to the World MasterCard benefits. Plus the TruBlue credit card gives you more ways to redeem your points. Those consumers who want to earn free frights with any airline should consider a general credit card with miles rewards. 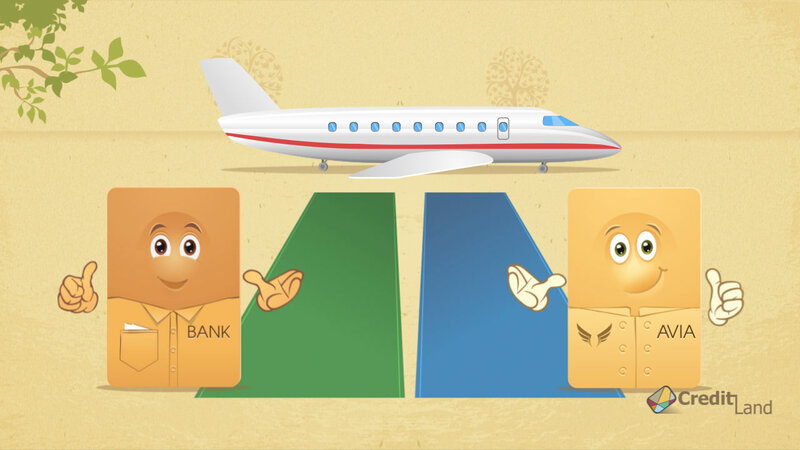 Airline credit cards from major banks give more flexibility to earn and redeem miles rewards.